A visit with the amazing Felicia Day at her book signing - we got to check out her memoir and she got to check out Fresh Cut. Here's hoping she becomes a huge fan of E.J. Bouinatchova and Open Books, because we certainly love her! Can't wait to see what her next project is. Special thanks to Skylight Books for hosting such an awesome event. Glad to be a member of this super cool store. 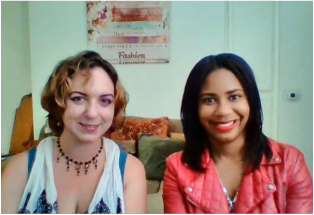 Taking place online: a new dialog between authors E.J. Bouinatchova and Elan Carson - a Gen-X and a Millennial. Mutual inspiration and misunderstanding abound, as these two writers try to understand each other and what writing means to their respective generations. Soon to come live to Los Angeles! 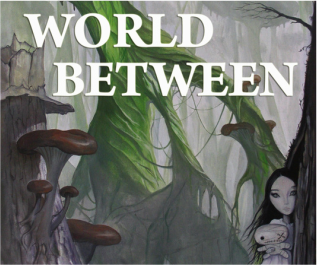 Book Launch Party for World Between: An exploration of childhood dreams and nightmares. Possible location: Geeky Teas in Burbank. Hours of geeky, dreamy fun! *Publication canceled. See here. Possibly to be resurrected later. Nobody hates V-Day more than a florist! Thrilled to have read at this beautiful, historic building - the most amazing library in Los Angeles! Great space, great people. Special thanks to Joyce Cooper for being such a sweetheart! Writer's Group Signing: Meeting with some fantastic folks for a quick reading and signing. Lo​oking forward to future events with them! Check out the Saturday Writer's Workshop in Burbank, CA. Clubs n' Things: Hit up of some of my favorite old dark & weird clubs this fall - Malediction and more! Also had a great promotion at Masquerade Night in Sanctuary LAX, as a guest of the ultimate gentleman: Master Gabriel. Folks, if you want to broaden your horizons beyond "50 Shades," give him a shout! ​Rescheduled, but still on the Wish List: Next Door Lounge. 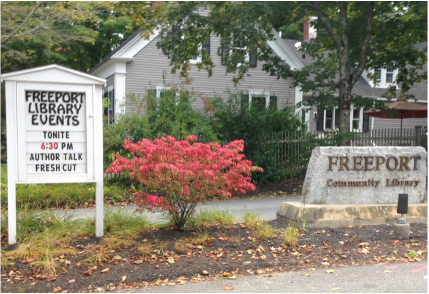 Traveled to my hometown of Portland, Maine in September. What an awesome and slightly scary opportunity to do a reading! An awesome time was had at this cozy venue right down the street from the grand old Los Angeles Central Library. Met with old friends and made some new, drank and laughed and celebrated; played games, signed books. What a weird, wild journey to get to this place! More events in Los Angeles and elsewhere coming soon!